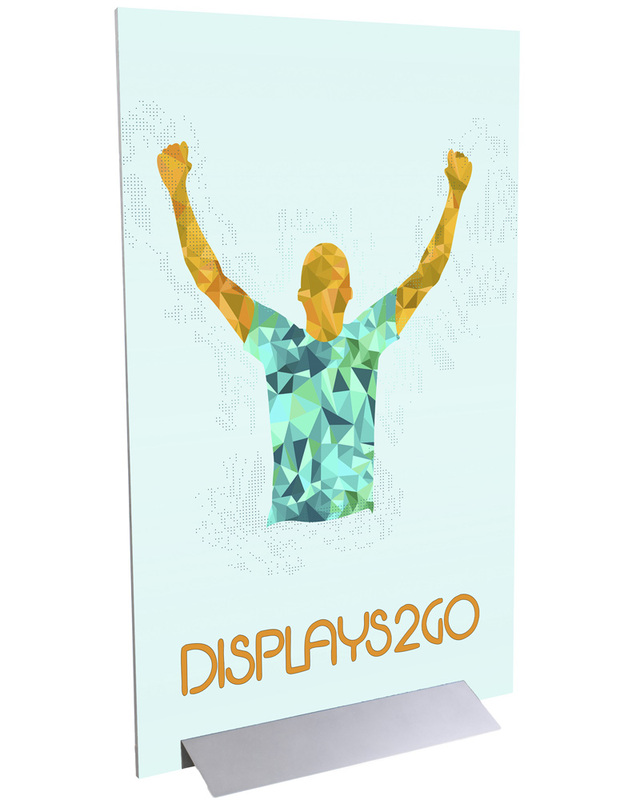 Take your brand displays to the next level with our UV Digital Printing! Our in-house UV printing capabilities incorporate the most up-to-date and high quality printing technology on the market today! Customers can choose almost ANY image or graphic to be printed in full color on a wide selection of materials - from simple company logos to high resolution digital images, the UV printer can do it all! 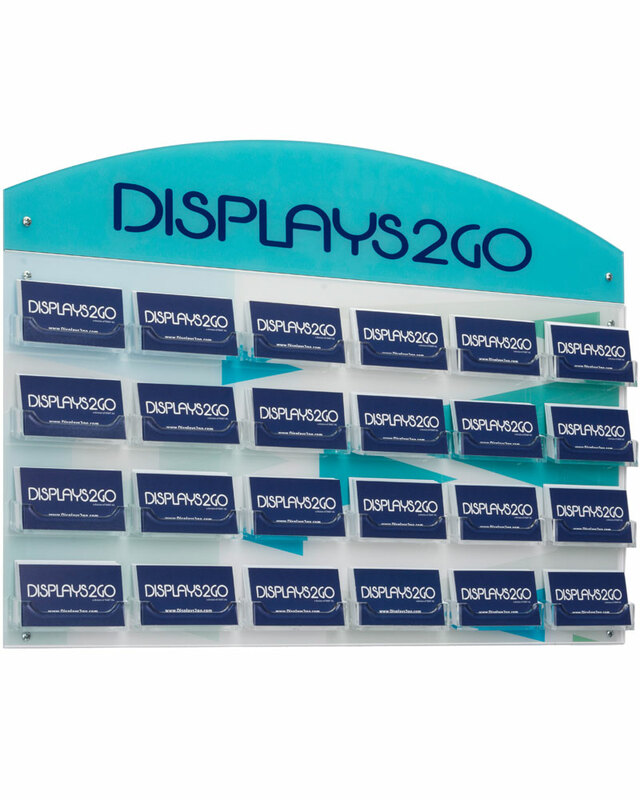 Thanks to a patented UV curing process, these customized displays and signs are rated for long lasting use, even outdoors. Because all our UV printing is done in-house, the majority of orders ship within 3 weeks of artwork approval. Samples may be provided upon request. 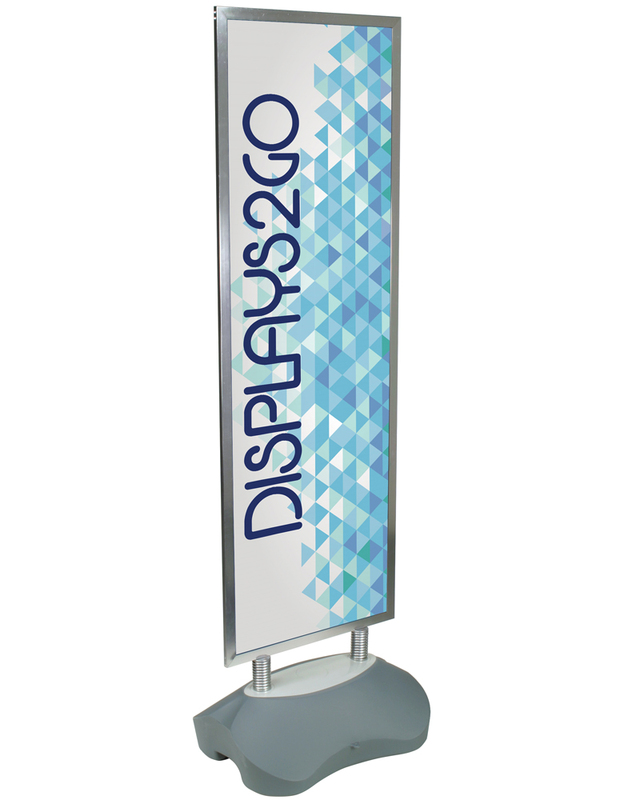 Please contact our Art Department to place an order either by phone at 1-855-868-7003 or artproducts@displays2go.com. 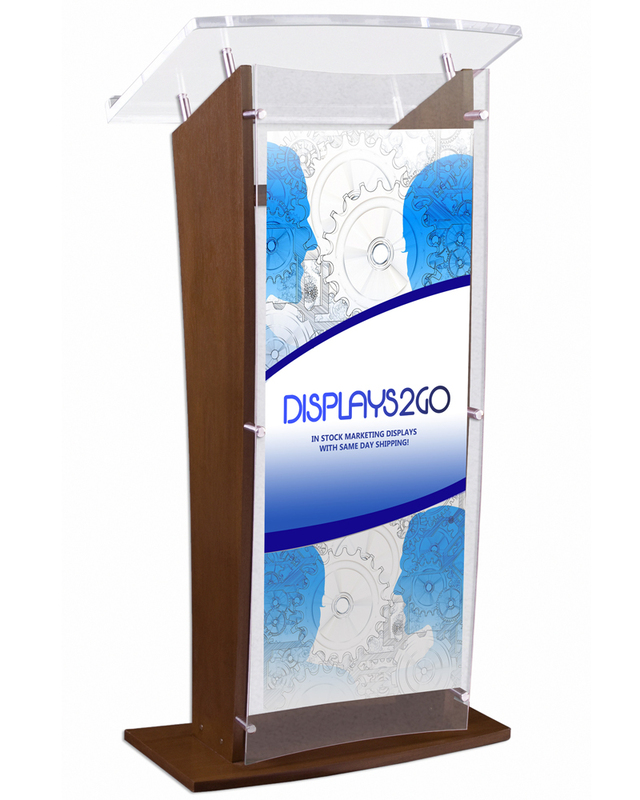 Many of our stock units can be offered with custom UV printing. We offer a wide variety of low or no minimum quantity products with custom UV printing right on our website. Don’t see what you are looking for? ASK! How many colors are available per unit? There is no color limit. All UV printed items include full-color digital printing. What type of artwork is accepted? Artwork specifications are available with each product. For printed products with pricing online, these specifications, along with templates, are available right on the product page. 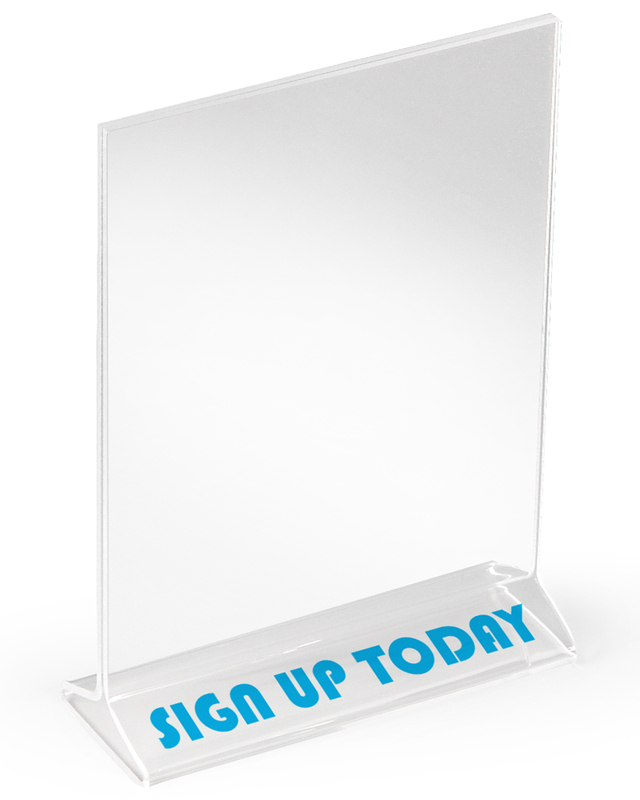 For custom requests, we will supply a template for the product you are looking to print on. You insert your image in the template and our team will review this and work with you to ensure that all specifications and image quality requirements are met. Can I see my UV printed unit prior to the order being produced? For larger orders, once your artwork is approved, we will send you a no-charge sample of the actual printed unit to see and approve prior to the production of your order. How long will it take to receive my sample? Once we receive your final artwork approval, a sample generally takes 3-5 business days. The sample will be shipped next-day air to you. 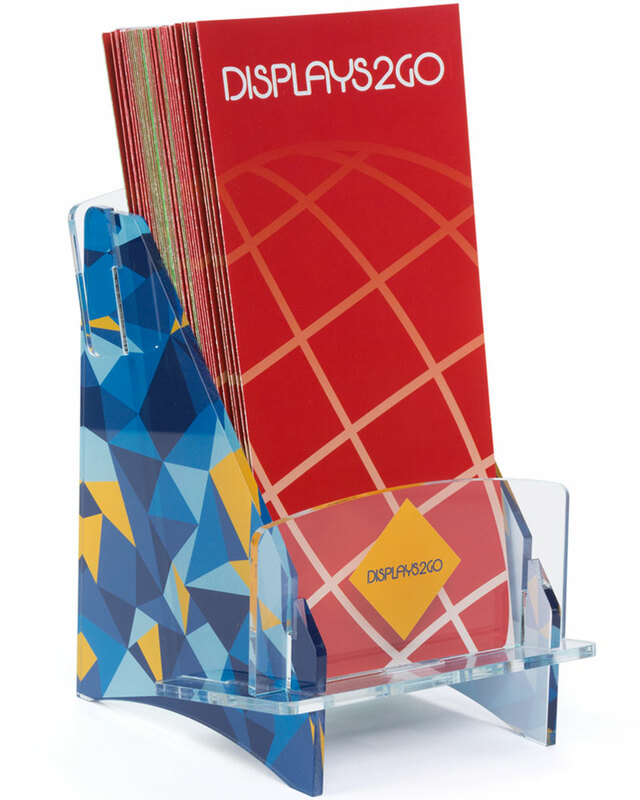 What is the lead time for a UV printed order? The lead time will depend on the unit being quoted and the quantity of the order. An estimated lead time can be provided with your price quote. 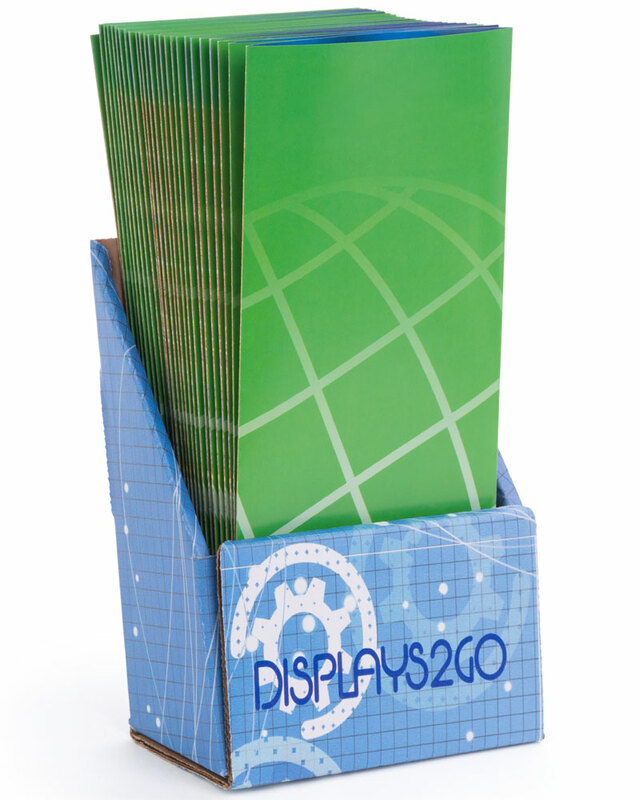 Can corrugated (cardboard) displays be UV printed? Yes, we offer UV printing on cardboard! Other available materials include acrylic, PVC, foam board, and corrugated plastic. What methods of payment do you accept for UV printed orders? We accept company check, wire transfer, or credit card. No deposit is required to receive a sample; however 100% of the order balance is due prior to production of the order. Will you design my artwork for me if I tell you what I am looking for? Unfortunately, we do not provide artwork design services. Is UV printing available on all of your products? 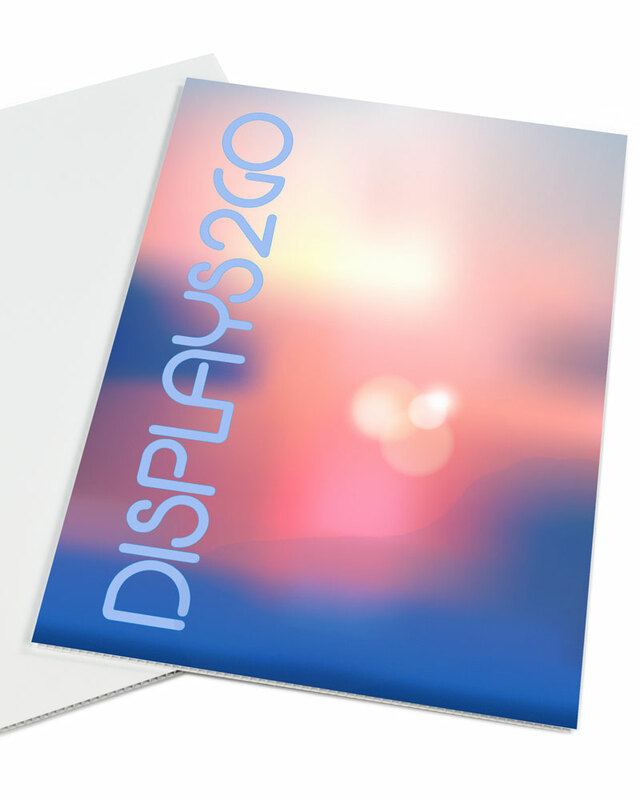 UV printing is generally only available on some displays. To find out if a particular product can be UV printed (even if it's not advertised as a UV printed product), please contact our customer service department. Wide variety of printing options and materials to choose from!